12Bet Casino is without a doubt one of the most popular names in the sporting circles and certainly one of the most unique casinos owing to its structure and the services it offers. To most soccer fanatics, horse racing lovers and betting addicts 12Bet is just another betting site. But it is more than that! Although the casino is popularly known as a sports betting firm, it clearly offers more than just sporting thrills. It offers a host of casino games such as online slots, table, and card games, video and poker games, as well as a live casino platform. The diverse features it has and the bold move to incorporate sports betting into a casino has made 12Bet become one of the most recognizable gambling firms all over the globe. 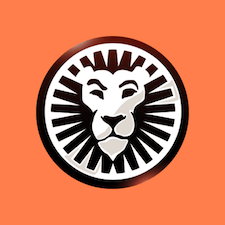 A majorly British-oriented company was founded in the United Kingdom in 2007, it is no wonder it stays true to the British proud sporting culture (soccer especially). This shows even in their corporate social responsibility initiatives with them sponsoring a number of soccer teams in the United Kingdom as well as abroad such as hull city, Sevilla, Newcastle United, Crystal Palace, and also the world snooker championship and the English badminton championships. 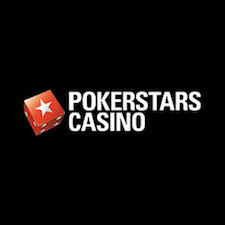 The casino is operated by TGP Europe Group based in Great Britain’s Isle of Man in partnership with Pacific Sea Marketing International Limited based in the British Virgin Islands. It holds a license from the Isle of Man gambling supervision commission, the United Kingdom Gambling Commission (UKGC) as well as the Cagayan economic zone authority. Powered by Opus Gaming their user interface is one of the simplest and cleanest in the industry especially considering they double up as a sports betting firm. The three main tags of their website: Sports, Casino and live Casino detail just how organized this establishment and how hard they work to maintain a clutter-free customer interface. It is almost like a well-kept office, where each tag opens the door to a different department each with its unique features, games and endless entertainment value. 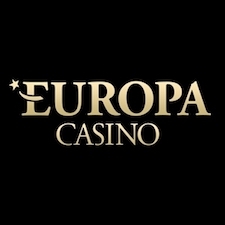 Apart from Opus Gaming the casino also incorporates features and games from other prominent software providers and game developers such as Playtech (particularly known for their voluptuous library of video slots games), Entwinetech, Gameplay Interactive, Red Tiger Gaming, Rabcat, Microgaming, Big Time Gaming, Pragmatic Play, Genesis Gaming and Push Gaming. Their sportsbook also happens to be one of the most detailed yet organized programs in the sports betting arena. Of course, soccer is their most popular betting game, and a lot of their attention is focused on soccer games especially the English, Scottish, Welsh, and Irish leagues. But they do offer other sports betting options such as horse racing, tennis, badminton, snooker, basketball, rugby, handball, volleyball among many others. They also have live betting where punters can stake and place bets on live games and games that are already ongoing. The unique blend of sports betting, casino games and live dealer games endears 12Bet Casino to most gambling enthusiasts. As already mentioned in the previous sub-section, 12Bet Casino has three major categories of games: sports, casino games, and live casino games. Their sports betting feature is similar to a majority of the betting firms in the market, but their unique live betting feature offers patrons and players an opportunity of wagering real-time as the games progress. They also have an innovative ‘bet-last-minute’ button that allows a player to get in on the action late on. Just place a bet a few minutes before the final whistle and depending on your instincts, your luck or a bit of both you walk away with a big win in seconds. It does not get any better than that! The casino games comprise of a collection of games that one would usually encounter at a traditional brick and mortar casino, i.e. slots games, table and card games, and video poker games. Although the casino does not include the full collection of Playtech video slots games, there are still some interesting choices for players to pick. Some of the top slots include Major Millions (many gamblers favourite because it is a progressive slots game), Nashville, Adelia, Deco Diamonds, Diamond Empire, X-Men and Ironman 2 from Marvel, Gems Odyssey, The Legend of Olympus, Wild Viking and movie-themed slots like the Terminator and Jurassic Park. With over 860 slots games to choose from gamblers and patrons are obviously spoilt for choice. For the more conservative casino enthusiasts, there is an array of table and card games to choose from such as blackjack, which comes with over 10 variations for a rich gambling experience, i.e. lucky blackjack, blackjack switch, pontoon, blackjack surrender, multi-hand blackjack, blackjack gold, blackjack pro, Spanish blackjack, etc. One can also play varied versions of the roulette (a classic and a must-have game in all major casinos) that include Russian roulette, American roulette, European roulette, French roulette, multi-wheel roulette, video roulette, roulette pro et cetera. A collection of baccarat games including the Asian version of baccarat gold concludes the list of over 25 table and card games on offer. And if poker is your mainstay, then worry not, 12Bet Casino has you covered with an entertaining selection of video poker games like Casino Hold’em, 2 Ways Royals, Jacks or Better, All American, Aces And Faces, Pick’em Poker, Deuces Wild, Joker Poker, and the all-time classic Tens or Better. With such an enormous database of games to select from, 12Bet Casino ensures that every gambler’s needs and taste are met. Truly a dream come true. 12Bet Casino offers a welcome bonus to all of its new customers where one gets to enjoy free spins, a chance to play on major jackpots without wagering, as well as weekly promotions and progressive jackpots. It also offers three deposit bonuses and welcome bonus where players get a 100% bonus of 100 British pounds that can be claimed within seconds of confirmation of the deposit amount. The minimum deposit to trigger the bonus is 10 pounds. The maximum allowed bet is 30% of the bonus amount on any single round of play. The bonuses offered on signing up are valid for 30 days after which they expire and cannot be claimed again. If this is not enough to attract new customers in the droves, then we do not know what will. It is natural, everything has advantages and disadvantages. 12Bet Casino also has a number of strong points, but it has its weaknesses too. The establishment has, however, tried very hard to establish numerous selling points, unique features and dedicated professional service to please and satisfy its clientele. The following is a list of some of the things the casino has done right. Excellent and quick customer service. Quick payouts and zero nonpayment issues. Their website comes in many language versions, Chinese, Thai, English, Vietnamese, etc. Supports a number of currencies and is not restricted to only one currency. It has bonuses, promotions and welcome offers. A wide variety of games and a sportsbook. Above average security standards provided by Thwate. Compatible with all devices and all major operating systems including smartphone OS’s. An all-in-one gambling structure encouraged. No downloadable versions, only available on the web. It has restrictions in some countries. Their live casino platform is not very robust and is prone to crashing. Backed by a group of over 10 software providers and game developers, 12Bet Casino’s technological levels are the crème de la crème of the gambling industry. 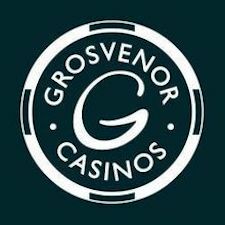 The casino’s services are available in all devices including all windows desktop and laptop computers, Mac computers, tablets, iPad and Kindle. The casino is also available in all the major mobile and smartphone devices such as the iPhone, Blackberry and Android phones. While a majority of other casinos have not ventured into the smartphone arena, 12Bet Casino has set the bar high by incorporating games that are supported on the Blackberry operating system, iOS, Android operating system as well as the mobile phone version of windows. And the tale does not end there; it also offers live dealer games, mobile casino games for the punters who crave a quick fix on the go, virtual reality games, and numerous poker games. 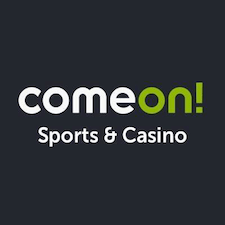 To underline just how committed this casino is to make sure their games are available to customers on all platforms; they are supported on Kindle, which is mainly a learning and study device. I guess all work and no play really does make Jack a dull boy. The downside to 12Bet's availability, however, is the fact that they have no downloadable versions of their casino services and can only, therefore, be found on the web and on instant-play platforms. 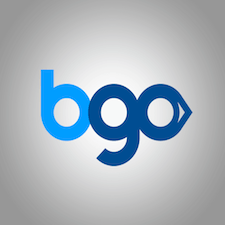 There are also no applications developed for this casino thus far, which is surprising considering most major sports betting firms have apps that complement their web-based services. The gambling firm, however, does compensate for these shortcomings by providing more than 9 alternative websites where their services can be accessed in varied languages; thus attracting a loyal customer base all around the globe. In fact, the casino has created a reputation for itself in the Asian nation of Vietnam where it is by far the most popular betting and gambling site with a clear monopoly on the Vietnamese gambling market. This seems to be one of the major drivers of this casino’s popularity and a source of most of their positive reviews. It’s dedicated to modern technological trends and provision of their services in all the major smartphone operators and the big three operating systems; iOS, Windows and Android OS that has taken the smartphone industry by storm. A caption from their primary website reads "this online casino takes pride in its rich and modern trends that contribute to player's satiation." It is this type of mentality and the cultivation of a rich culture of providing the best that makes 12Bet Casino one of the best casinos in the market today. Established in the technological era (2007) this casino has exemplified the efficient use of technology in conducting business, attracting new customers, driving sales and maximizing gains. Its mobile support system is one of the most efficient with minimal customer complaints. 12Bet casino boasts one of the best customer service providers. Their mobile support system is unparalleled in terms of swiftness responding to customer issues, and the shortcodes and MMS provided for assistance work efficiently. The firm has also set up around the clock live chat board where customers can communicate with the support personnel and have their issues ironed out. The call centre is active, and one does not have to wait for hours to speak to an agent. Their dedicated email support service also registers quick response times with emails from disgruntled customers getting an audience and replies in less than a day, even hours in some cases. This casino’s unspoken mantra seems to be “all inclusion.” With the list of all the accepted countries, this firm has definitely gone out of its way to reaching as many players as possible and from as many countries as possible. But there are still so many countries that have been denied their services including Hong Kong, the Philippines, Taiwan, France and Switzerland, and the United States. The accepted currencies on 12Bet Casino are the Australian dollar, the Chinese yuan, euros, the British pound, the Vietnamese dong, the Thai baht, and the US dollar. It also comes in a variety of languages: English, Indonesian, Thai, Korean, Japanese. One of the most highly organized casinos that pride itself in observing professionalism and ensuring customer satisfaction. It is a casino worth checking out and obviously one of the biggest in the market right now. The positive reviews from customers and other stakeholders are definitely fully deserved.